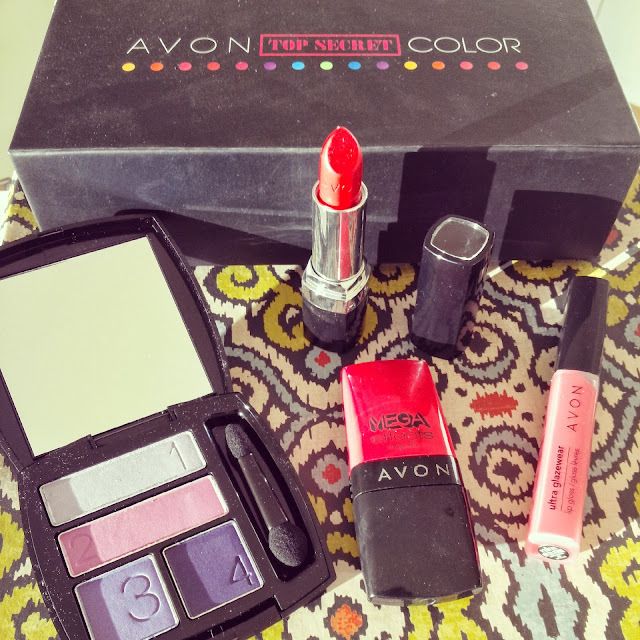 Avon's latest collection is all about bold colors that help achieve a ready to wear look in no more than five minutes, a creed that I chase day in and day out. I mean, isn't that every girl's fashion dream? To look ready and ready to go without having spent hours getting ready? Inspired by Avon's motto and its fabulous fall colors, I put myself to the challenge and put together a versatile outfit that catches the hues of my favorite pieces from the makeup collection in just five minutes flat. The popping color combo of the True Color eyeshadow quad in Purple Pop and the Ultra Color lipstick in Rich Ruby, a color pairing I've never tried before, really piqued my interest and served as the color base for my outfit. When running low on time, I always reach for a dress as it's easy to slip on and quick to accessorize and layer. So my radiant orchid floral dress became the centerpiece of the outfit. I wore a lace collared shirt underneath it to bring out the whimsy of the outfit and my new Hanes tights to cement its status as a fall outfit. Then I went searching for accessories. I grabbed a few of my fall staples like my black fedora, statement sunnies, my new Chanel, a few pieces of jewelry, and the cutest red shoes ever. Knowing the color combo of the outfit really saved a lot of time as I knew exactly what was needed to complete the look. Within minutes, I was out of the door. For the first time in ages, I wasn't running on Jenny time. In fact, I wasn't running at all! We make it easy. You make it beautiful. Disclosure: Compensation was provided by Avon via Glam Media. The opinions expressed herein are those of the author and are not indicative of the opinions or positions of Avon. Very interesting . Thanks for sharing such useful information here and nice snaps. These are such cute dress. I have been looking for dresses for an event, hope France was amazing, can't wait to hear all about it!. Thanks so much for these ideas.